Commuting by bicycle can’t be beat right now. 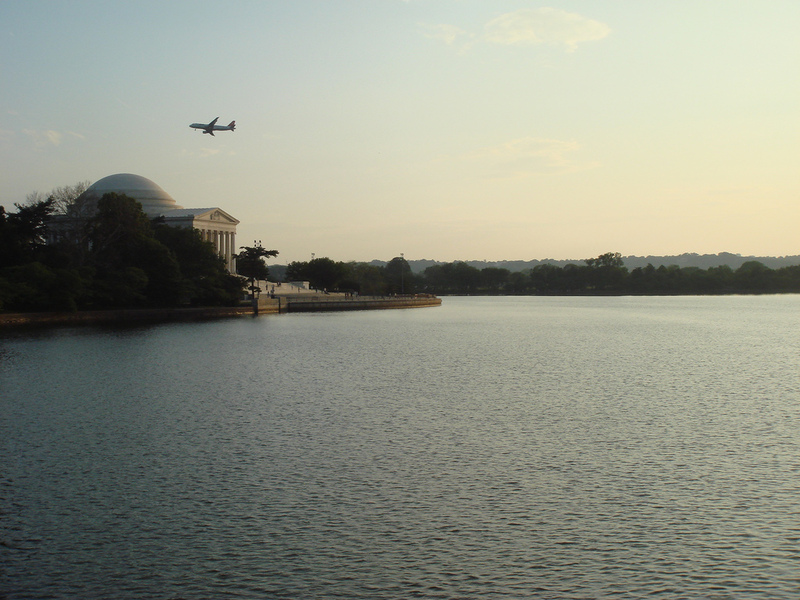 The warm late day sun, combined with the light auto traffic (due to a weeklong congressional recess), make downtown D.C. and Hains Point pleasant and leisurely. 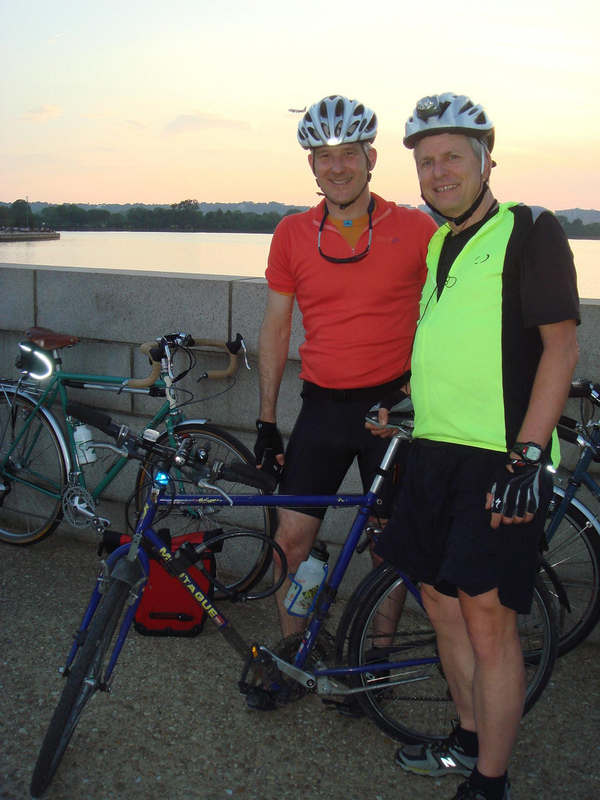 I stopped to take a few photos at the Tidal Basin when randonneur Tom Reeder rode up on his older Montague folding bicycle. 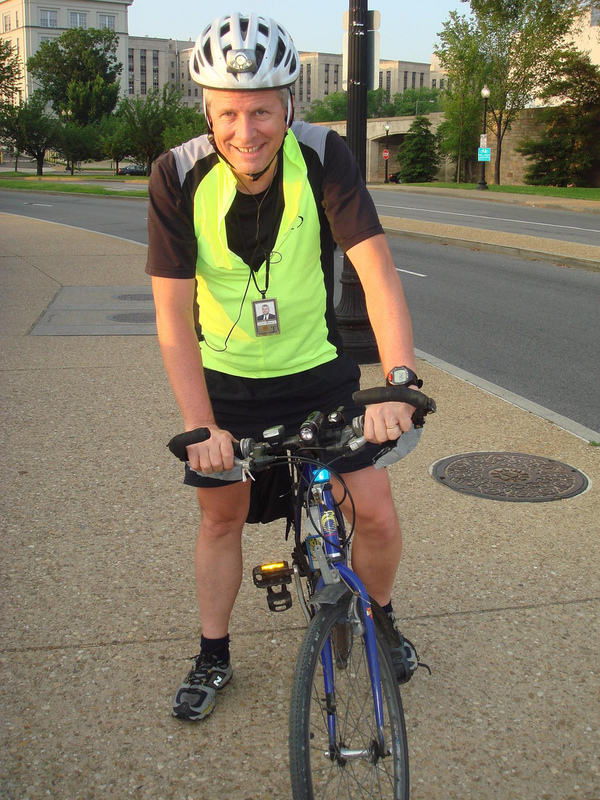 Tom says he bought the bike in the 80s and has been commuting on it for 15 years. 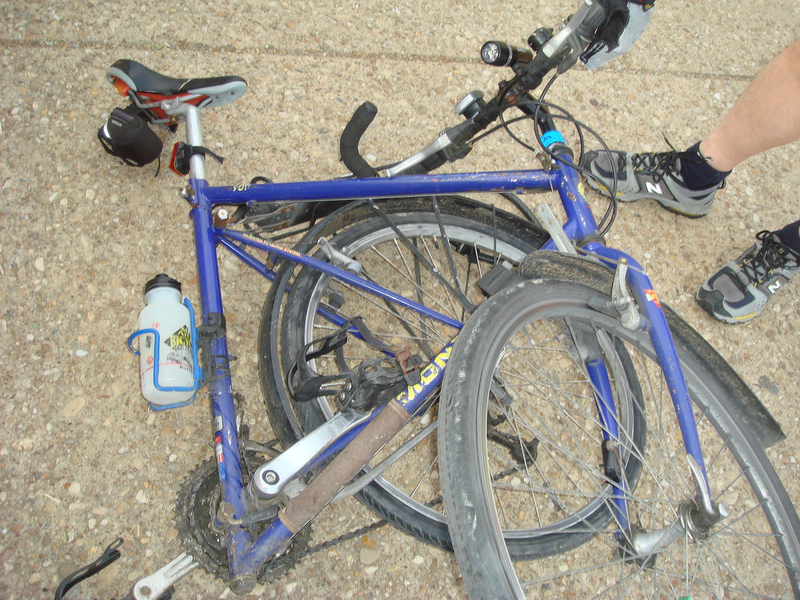 Take the front wheel off, throw a couple of quick releases and a safety latch, and it folds mostly flat. Tom also has a coupled Lemond racing bike that he uses on brevets. He’s taking it to France in two weeks to ride what has to be one of the coolest brevets ever, the June 8 Paris Roubaix Randonnee. Tom and Ruth are ostensibly going to see friends in France, but really Tom plans to conquer the cobbles. MG rode up and we took photos. All in all, we enjoyed one of those chance meetings that are so very nice on an early summer’s evening. I envy Tom as he readies to ride the cobbles. Have a great time and give us an account when you get back!